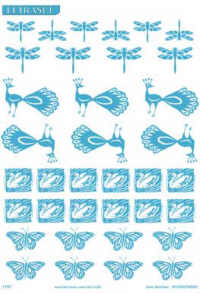 A5 sheet of Greetings transfers for handmade cards and more. Gold and silver foil in each pack. Apply the adhesive transfer to your project, choose your foil, use finger pressure to smooth out the foil, and peel away.